Categorized as: Africa, Girls & women, Grantee, Job Creation, Our Partners, Poverty Alleviation, Stories & Tagged as: The BOMA Project on July 9, 2016. Related Grantees: Firelight Foundation, Freedom From Hunger, Grameen Foundation, Kiretono Resource Centre through AID Tanzania, LivelyHoods, Upaya Social Ventures. Mekona with her daughter, Gano. The BOMA Project runs an innovative poverty-graduation program in Northern Kenya. The traditional homeland of the pastoral nomads, it’s a rugged, remote region that has been devastated by drought and climate change. BOMA targets ultra-poor women in rural villages and enrolls them in a two-year program that includes a cash grant (seed capital to launch a business); sustained training in savings, business and life skills; hands-on mentoring by a trained, local mentor; and the establishment of savings groups. In “the other Kenya,” far from modern Nairobi, drought was wreaking havoc on communities that for centuries had raised livestock on this arid land; leaving families with no food, no resources, and no practical means of earning an income. After years of leading safaris and raising money for humanitarian projects in Africa, founder Kathleen Colson traveled from her home in Vermont to Northern Kenya in 2005 at the invitation of a local politician. She saw firsthand the “other Kenya,” far from modern Nairobi and the country’s popular tourist destinations. Drought was wreaking havoc on communities that for centuries had raised livestock on this arid land; leaving families with no food, no resources, and no practical means of earning an income. After experimenting with other programs like distributing school fees and livestock, Colson became convinced that the solution was to empower women with the skills and tools they needed to run their own small businesses. In 2009, she and cofounder Kura Omar launched a microenterprise program, the Rural Entrepreneur Access Project (REAP). In 2013, this program was refined as a poverty graduation program with a defined exit strategy and definitions of success that determine “graduation” from extreme poverty. Their innovative program focuses on building resiliency for ultra–poor women by helping them to achieve graduation criteria in food security, sustainable livelihoods, shock preparedness (savings) and human capital investment (children going to school and women’s roles in household decision-making). According to the United Nations, every dollar of foreign aid spent on averting and mitigating disaster saves an average of $7 in humanitarian disaster response. 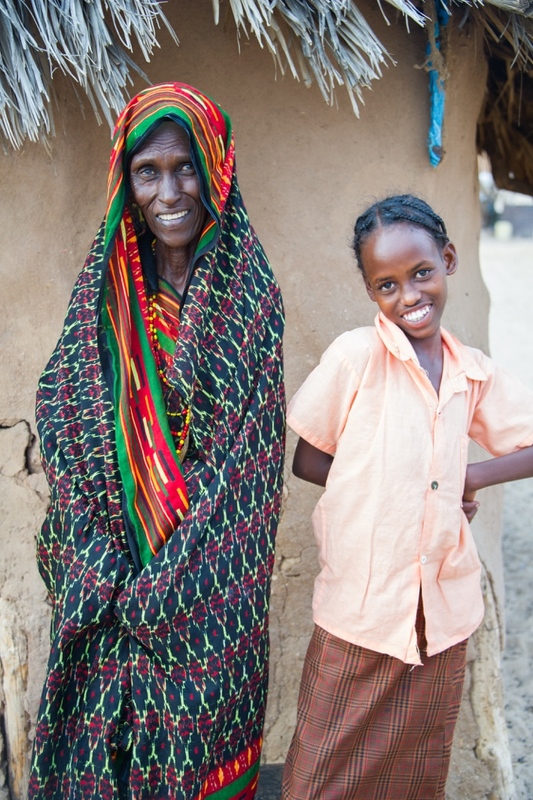 The right early response – like BOMA’s holistic program – helps families avoid the downward spiral of selling livestock, skipping meals, and pulling children out of school during drought and hard times. REAP works like a virtuous venture-capital fund by investing in local women, providing the startup capital and mentoring they need to get a sustainable business off the ground. Each new business includes three women collaborating on such ventures as kiosk shops (clothing, foodstuffs, and supplies), livestock, bakeries, beads, and other handicrafts. And, of course, support from the Skees Family Foundation. BOMA entrepreneurs celebrating prosperity they’ve built with their own hands. 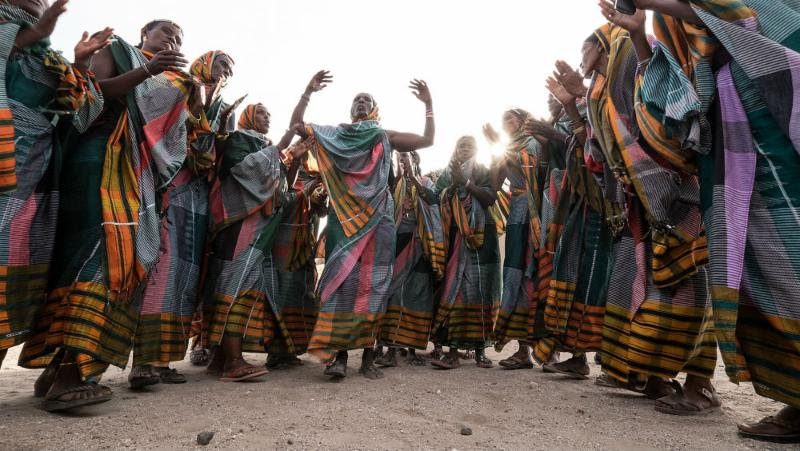 BOMA is proving that a gender-focused poverty-graduation program can improve the lives of women in rural Africa, specifically in the arid and semi-arid lands (ASALs), where more than 12 million people face dire threats to food, water, economic, and political security. The ASALs represent 40% of the continent and the true “last mile” of extreme poverty and economic isolation: Despite tremendous progress in other regions, the World Bank reported a rise in extreme poverty rates in Sub-Saharan Africa between 1981 and 2010. We join The BOMA Project in unwavering faith in women, hard work, jobs, and prosperity for all. Our thanks to the staff and entrepreneurs of BOMA for making it happen for 10,557 families in Kenya! 600 savings associations across Northern Kenya. BOMA’s goal is to lift 100,000 women and children out of extreme poverty by 2018 and one million women and children within the next five years. To see how BOMA helps women graduate from extreme poverty in six steps, see the video below. To read BOMA’s most recent impact report, click here. 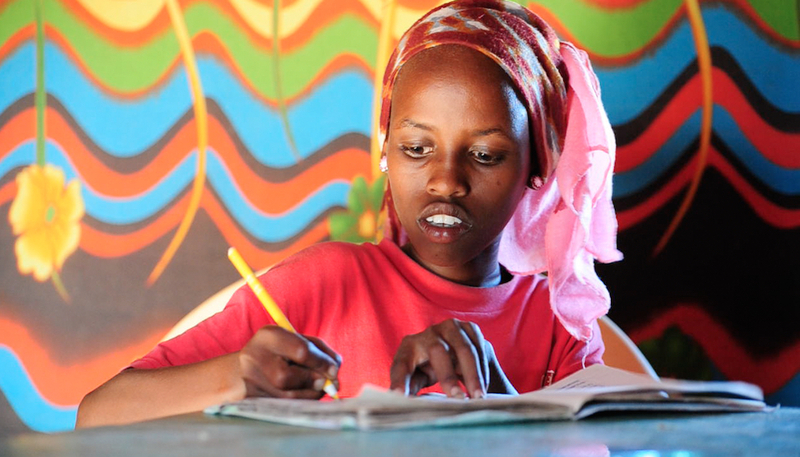 Cover photo: Mekona’s daughter, Gano, studies her way to her dream of becoming a teacher. All photos copyright The BOMA Project; videos courtesy of The BOMA Project.